After the recent launch of the Vivo Nex, the company is all set to launch another smartphone called Vivo 1805. 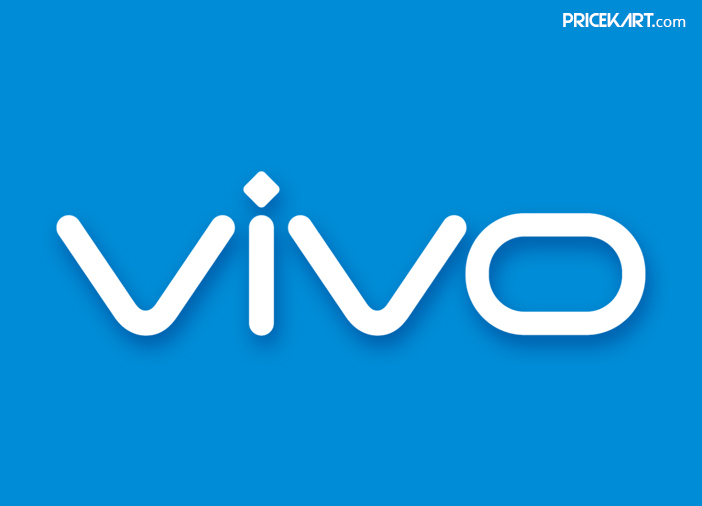 Vivo is known for designing mid-range smartphones. However, with Vivo Nex, the company changed that perspective. 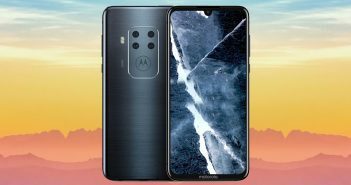 By incorporating a pop-up selfie camera and an under display fingerprint scanner, the company designed a smartphone that will give high-end brands a huge competition. 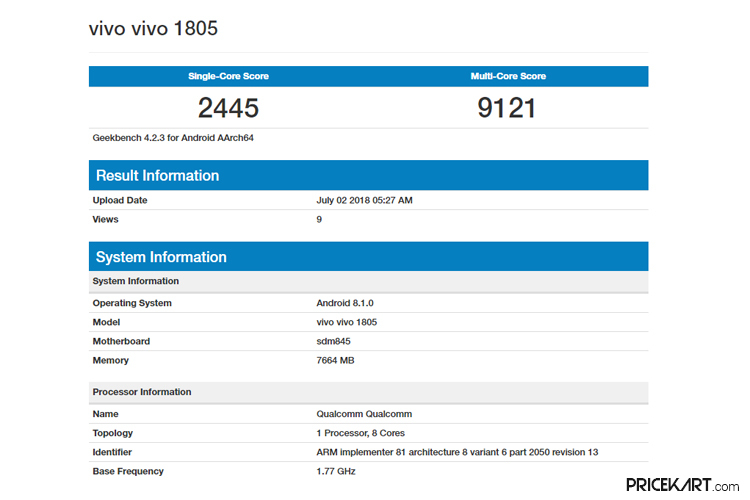 Recently, specifications of the Vivo 1805 smartphone leaked online. According to the specifications, the smartphone will be powered with Qualcomm Snapdragon 845 processor, which is said to be the fastest processor to date. Similarly, even Vivo Nex featured the same Qualcomm chip. Additionally, the specifications reveal that the smartphone will be further fuelled by 8 GB of RAM. It will run on Android 8.1 Oreo operating system. As of now, there are no details if the smartphone will get the Android P update. 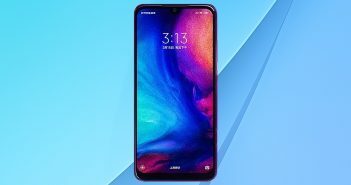 Furthermore, Vivo 1805 recently received an EAU certification, which is a clear indication that we could soon expect a launch announcement from the company. Moreover, the leak also reveals that the smartphone has scored 2,433 points in the single-core test and 8,954 in the multi-core test. These are the only details that have been released as of yet. More information can be expected once the launch date draws closer. 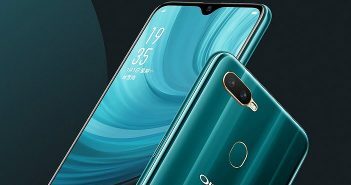 However, the specifications of the Vivo 1805 smartphone are similar to the ones seen on Vivo Nex. Vivo Nex sports a 6.59-inch display with a screen resolution of 2316 x 1080 pixels. On the storage end, the smartphone comes in two storage variants – 128 GB and 256 GB. The highlight of the smartphone is the pop-up selfie camera and under-display fingerprint scanner. The smartphone runs on Android 8.1 Oreo operating system and is further fuelled by a 4,000 mAh battery.